The Christmas trading period has failed to bring results for major UK retailers, with M&S recording worse-than-expected sales in all but food, Tesco taking an overall drop of 1.1% and Morrisons hit with a 5.6% decline. 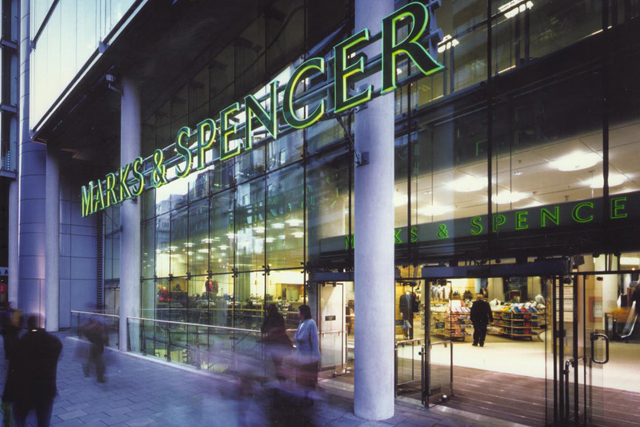 M&S saw like-for-like general merchandise sales, which is mostly clothing, fall by 2.1% in the 13 weeks to 28 December, proving a worse performance than had been expected by investors. Despite a 1.6% increase in like-for-like food sales and its biggest day of trading in food on 23 December, taking £64m in sales, the retailer has failed to impress investors with shares down 1.6% a few minutes into trading this morning. Tesco has blamed a "weaker grocery market" on its 2.4% fall in like-for-like UK sales in the six weeks to 4 January. Group sales at the UK's largest supermarket were down 1.1% excluding fuel. Tesco cited opening fewer new stores and the overhaul of non-food ranges as contributing to the decline in performance. Morrisons suffered over the Christmas period with a 5.6% drop in like-for-like sales and predictions that full-year profits will be at the "bottom of the range of current market expectation". The news is a stark departure from yesterday, when Sainsbury's reported a 0.2% like-for-like growth in sales for the third quarter, with Waitrose recording a 3.1% rise in like-for-like sales for the five weeks to 24 December. James McGregor, director of retail consultants at Retail Remedy, claimed that M&S chief Mark Bolland had set December 2013 as the turning point for the retailer's general merchandise offering, but after its heavy Christmas discounting, the company was clearly still struggling. He said: "Despite the Christmas marketing campaign positively targeting a wider age group, the business is still failing to appeal to its desired customers in-store. "M&S's problem is that there's always a danger of turning up to your grandmother's 80th to find you are both wearing the same M&S dress. "M&S once again references the unseasonably mild weather during the autumn, but this was the same weather, remember, that brands such as Next and John Lewis reported strong growth against."